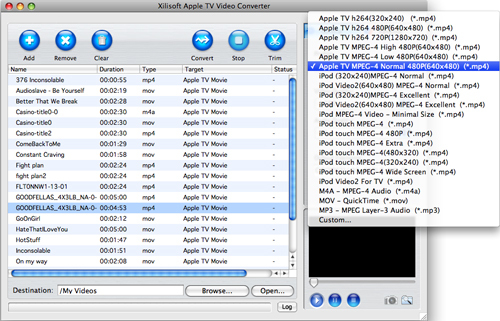 This step-by-step tutorial will show you how to convert various video files to Apple TV video and audio files for enjoying any video file via Apple TV. 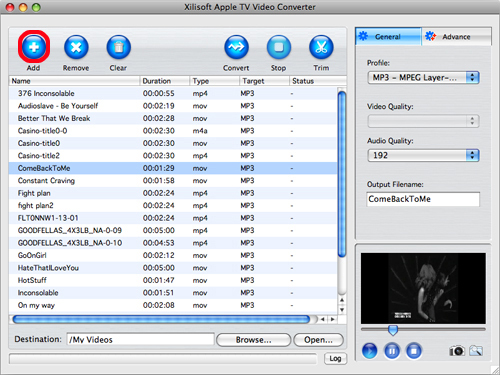 Download and install Xilisoft Apple TV Video Converter for Mac on your Mac, then follow the steps below to accomplish the Apple TV video conversion. 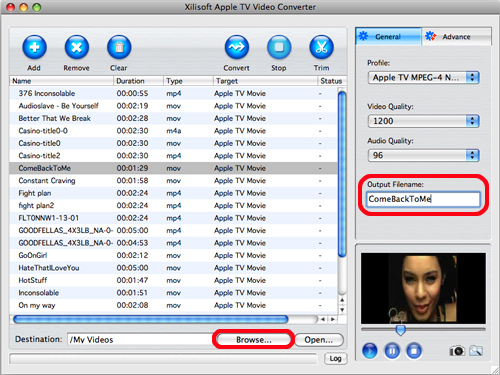 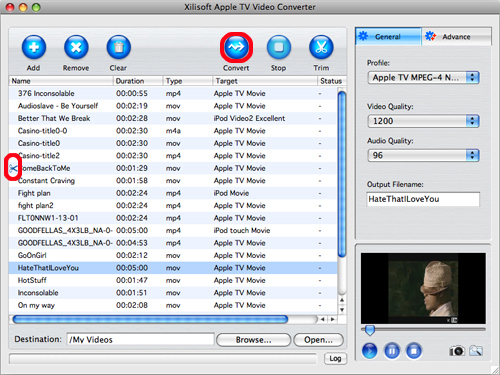 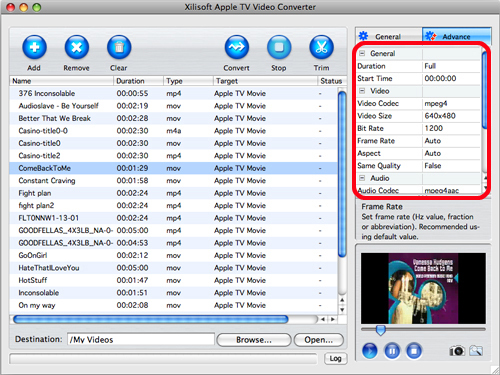 Run Xilisoft Apple TV Video Converter for Mac, click "Add" button on the toolbar or "File > Add" to load the files you want to convert. The loaded files are displayed in the file list.